Here we are in January 2018 all dressed up for the ball and looking for dance partners. Not only are we all excited about the new year, but we are also making plans for how our future successes will unfold throughout the year. Marketing plans, digital marketing plans, financial plans, personal plans… and everything in-between. At Left Coast Marketing & Design, there are also a lot of plans in the works and many of them are PRINT PROJECTS requiring a print budget to make marketing dreams come true. Will you be our dance partner? Let us show you our Magic Marketing Kit List and get you ready for 2018 ball! Check out this list of key items that belong in a Marketing Kit, with explanations of WHY. We laid it out on a timeline of TOP priority first! BUSINESS CARDS - to reach you! LINE SHEETS or TASTING NOTES - to review the description of your product with an image. ORDER FORMS - to make their dreamy purchase a reality! One for retail and one for wholesale! FOLDER - to put this all in, of course! BROCHURE - to understand your story and get invested in choosing your product! CLUB SIGN-UP SHEET - because everyone wants to join. BOOKLET or CATALOG - to show how serious you are about your product. STICKER - because everyone loves stickers. As one of our main core values states, "project management is in our DNA." So when it comes to planning out print projects for the rest of the year, now is our time to help you set things into motion (if we haven't already done so). One of the best ways that we can help serve you is by providing examples of what has worked in the past. Today we are going to touch on one specific example. This is what we can call THE MARKETING KIT. It is the system that the customer will experience for a particular set of products, from the folder that they open up with your logo on it to the line sheets, price sheet, order sheet and possibly a booklet or a brochure and a sticker or something fun – to set the tone of expectation for your potential and existing customers. Nothing screams "we’ve got it together" more than a consistently designed approach with sales. Now, we understand that upfront a Marketing Kit sounds like a big project. Tight budget? This is where we can help you prioritize what pieces need to happen first and what your timeline is. Then by the end of your timeline, there you have a shiny (or matte) piece of joy... aka MARKETING KIT. Are we missing anything? Every industry is a little different, especially when working with distributors and retailers. Just remember, everyone loves stickers. And we are here to help you make this Magic Marketing Kit come to a reality. Whatever it was, we are happy we found the Wurst. (It’s not the Wurst thing that’s happened to us!) Offering a variety of different menu choices, from their specialty sausages, burgers, and sandwiches, to salads with special house made dressing, the Wurst had our tastebuds just as intrigued as our first impressions. And for those who like craft beer, it’s one of our favorite places to grab a brewski, hard cider, or even a glass of wine. Behind the scenes, there is more to tell. Started by owner Charles Bell, a Healdsburg local, the Wurst is turning 7 this year. That means Charles gets to celebrate 7+ years of health. Before he opened the restaurant, he had survived a late state throat cancer, which speaks to his passion for life and energy that goes into the restaurant. His story has provided hope and gratitude for those who walk in his door. What else did he do before the Wurst? Charles had an exciting several years of touring as a musician, completing chefs training at a culinary institute, and cooking with a catering crew for the Royal Family. This is when he decided to revisit his passion for entrepreneurship and the culinary arts, and the Wurst was born. We are not only inspired by Charles’s story, but have also had the honor of working with him on his marketing materials. We met him at our local Steelhead Festival and ended up in conversation around his needs as a small business in Healdsburg. The Healdsburg market is like no other. Consumers don’t travel much off of the town square. The question for all businesses off the square is this: How do I get people in the door? Luckily, the Wurst was already busy, so the next question is: How do we get people to come back?  And for Left Coast Marketing… how can we support an already-successful business? Well, there is one thing we specialize in as a creative agency, and that is our creativity! What makes creativity successful? CONSISTENCY. Charles agreed that he could use new print materials for his menu that has changed over the years. He was in execution mode, taping over old prices with new ones. In order to maintain consistency, he had to do this while in the pinch of taking orders and serving food! We took this as an opportunity to curate his restaurant with specially-designed menus in the form of signage, brochures, and decals. While staying true to his brand, we successfully designed matching (consistent) materials, to be seen from the walkers-by to the customers at the register. Now all of his materials have the same style, the prices match, and the menu items are the same. Next time you’re there, take a look! We look forward to more lunch meetings at the Wurst!